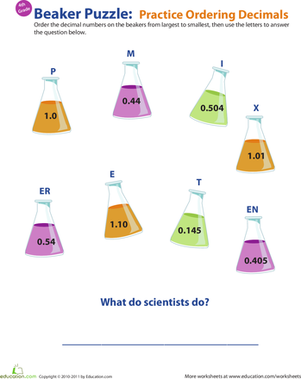 Does your fourth grader need help with decimals? Encourage her to get to know these special numbers better with some valuable at-home practice. 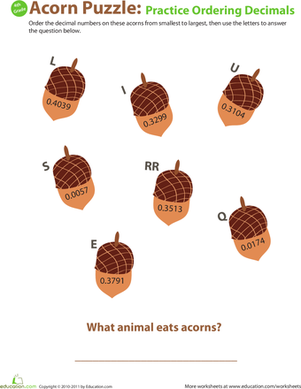 This acorn-filled worksheet gets her putting decimals in order from least to greatest, and rewards her with a fun word puzzle at the end. 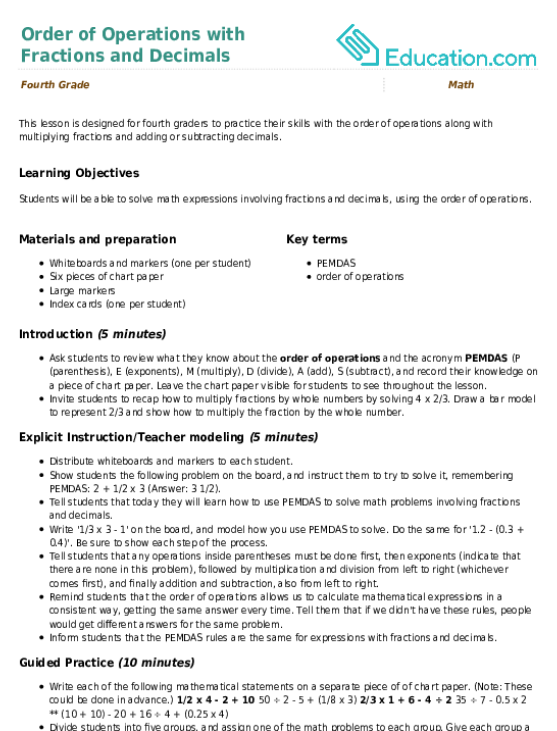 Get more decimal practice with the rest of the Decimal Dash series. 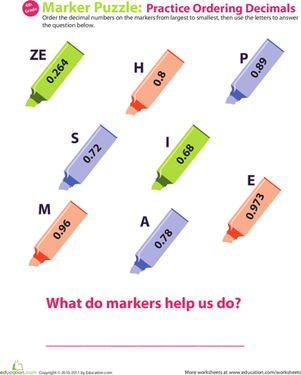 Help your fourth grader get a leg up on decimals with this colorful math worksheet. She'll practice putting decimal numbers in order from largest to smallest. 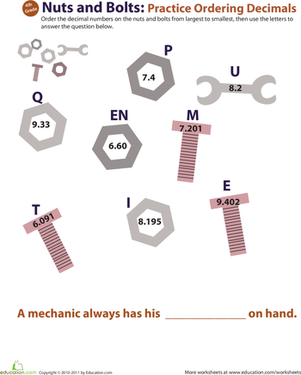 Encourage your fourth grader to dive into decimals with this bookish math worksheet. In this worksheet he'll order decimals from greatest to least. 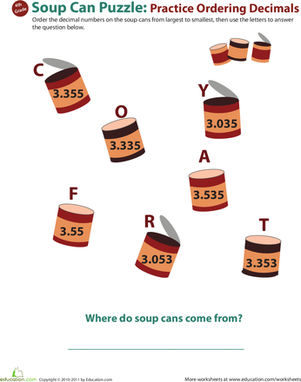 Is your fourth grader confused about decimals? 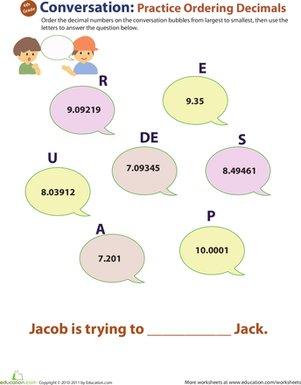 Give his decimal understanding a boost with this fun worksheet that asks him to put decimal numbers in order. 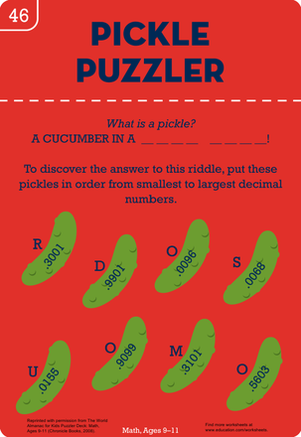 Give your child practice with decimals with this silly worksheet, which requires her to put decimals in order to solve a riddle. 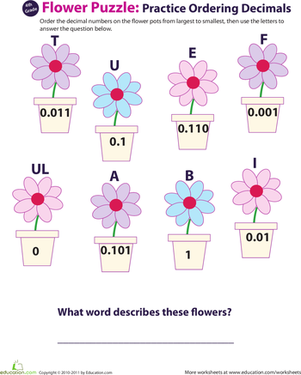 Decimals can be confusing for kids, but a little practice is all they need to understand this important fourth grade concept. Order soup cans from big to small. 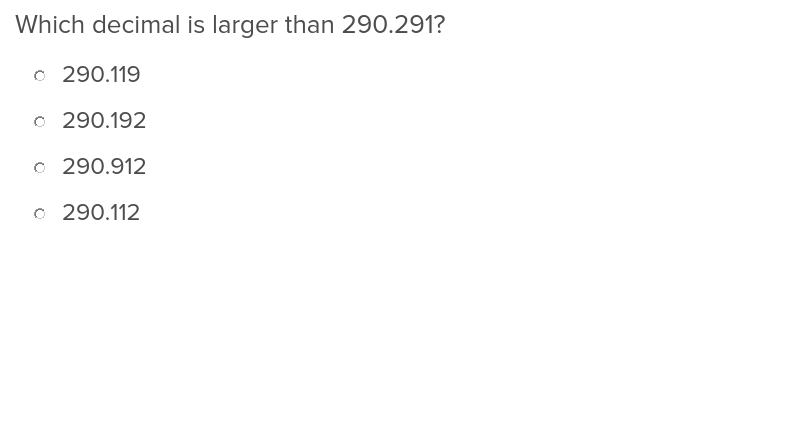 Put decimal numbers in order from biggest to smallest. 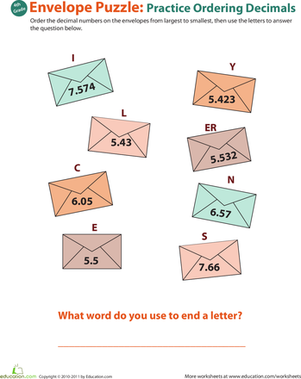 This easy and educational exercise from Education.com will teach students how to sort and order decimals. Decimals can be tricky, but don't let your fourth grader bolt: encourage him to learn about the not-quite-whole numbers, and he'll be decimal savvy in no time. 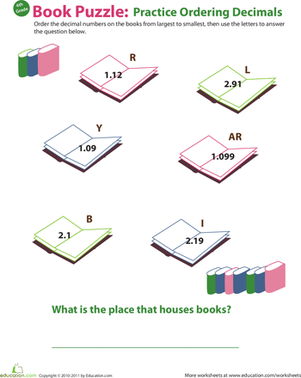 Is your fourth grader struggling to wrap her head around decimals? Don't despair: offer her a little practice, and she'll have this concept down in no time.